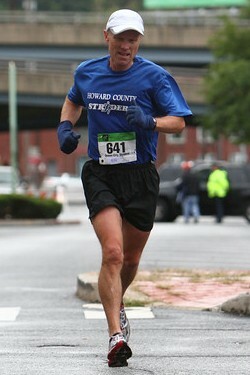 Bobby began running after completing residency at Brown University in 1988. He has participated in race distances 10 miles and below. He is currently a coach for the Junior Striders Cross Country and track teams and is a coach for the Institute of Notre Dame High School’s XC and Track programs. His main goal is to keep running and stay healthy. When not running or in the operating room, Bobby can be found at the slopes on his snowboard.